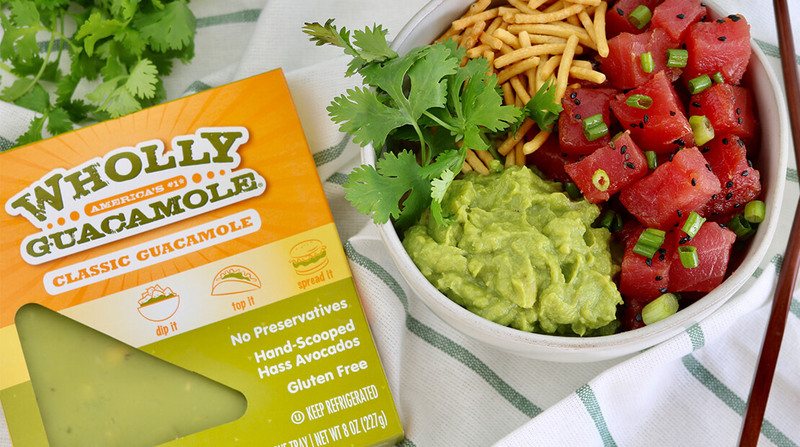 In honor of National Guacamole Day, Antoni Porowski of Netflix’s “Queer Eye” is partnering with packaged guacamole brand Wholly Guacamole to share his favorite guacamole hacks, because you know he loves avocados. The guac icon shared three different tips — using prepared products along with other tasty but accessible flavors — that are as spot-on as you’d expect from the food guru. “Many people now know of my love for guac, and being a foodie, I’m known to make my own guacamole from scratch. However, no one loves the hassle that comes with it… like waiting for avocados to ripen, or prepping and mashing all the ingredients,” he said in a press release. And if you just can’t wait for your avocados to ripen like Porowski, Wholly Guacamole has the deal for you! They’re giving away free guac to customers nationwide all day on National Guacamole Day (September 16) with the use of an online coupon. The coupon site also shows Porowski’s best guac ideas. He recommends one hors d’oeuvre or appetizer that looks adorable served in individual cups — just layer guacamole under marinated, cubed tuna and top with crumbled crispy wontons or tortilla crisps.